"I don't have time to cook anything"
Who doesn't have time to cook? It's such an important part of my everyday life I find it really hard to believe that anyone would not find the time to cook. It's my passion, my hobby and my pleasure to feed myself and my family. 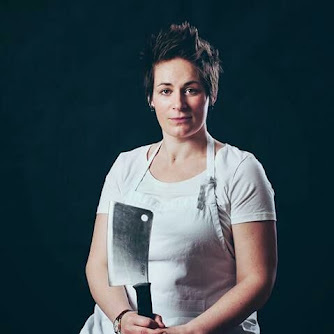 I think part of the problem stems from the fact the children are no longer taught to cook in schools and we have somehow lost that transferal of skills from our family peers. If you don't know how to cook food, then perhaps from the outside it looks time consuming and confusing. I get it. 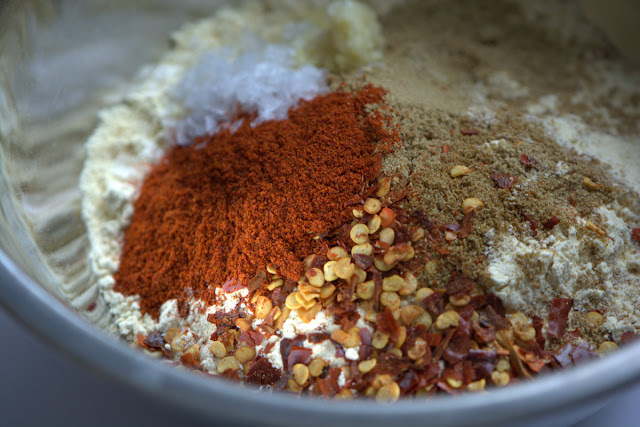 Cooking is as complicated as you want to make it. Good, fast food can be easy, delicious and thoroughly rewarding. You just have to know what to cook. 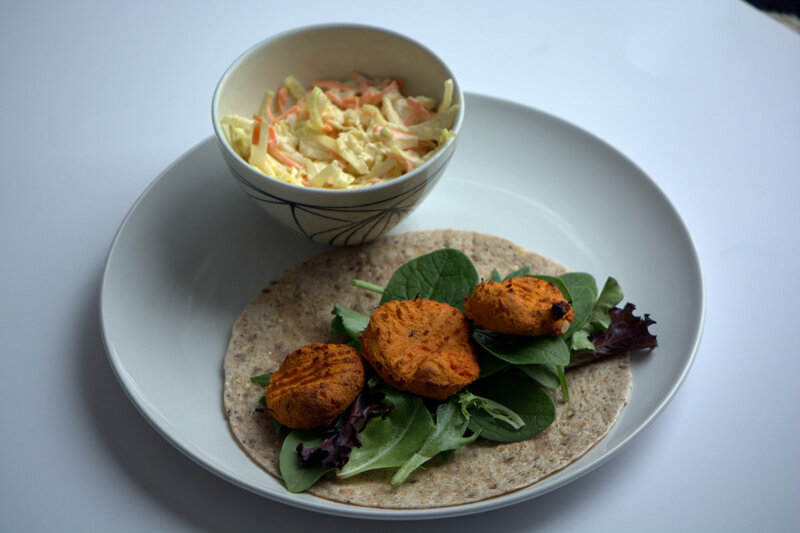 These swift, delicious Sweet Potato, chilli & fennel falafel are perfect fast food. Nothing technical and fancy here, just good, honest, fast food. I make a batch of these and they form the basis of my lunches for a few days. Just bake what you need and leave the batter in the fridge for another day. They are good on their own, dunked greedily into sweet chilli sauce. 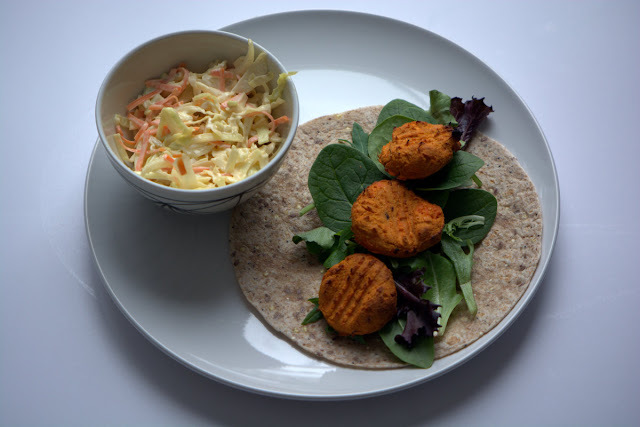 They are good in wraps & pitta's or scattered over a salad too. Cafe' coleslaw is a fond salute to the huge batches of coleslaw I used to make at my parents Cafe' back in the UK. We made so much of this stuff that we used to buy huge buckets of Hellman's mayonnaise and to look at them you would think they would last forever- in reality, they never lasted long! 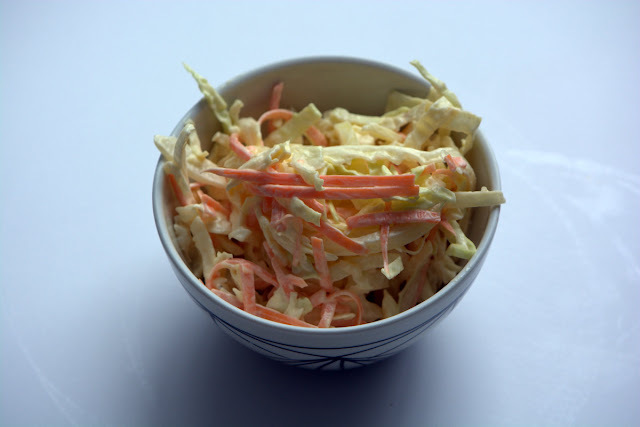 Cafe' coleslaw is simple, plain and my favourite version of coleslaw now I am a grown up. When I was little I rebelled against the homemade goodies my Mum made for cafe' and preferred bought versions of everything (crazy phase of my life!! ), including that lurid, plastic tasting coleslaw you buy from the store. I can't even stand the smell of that now! Heat oven to 200C/ 390F. 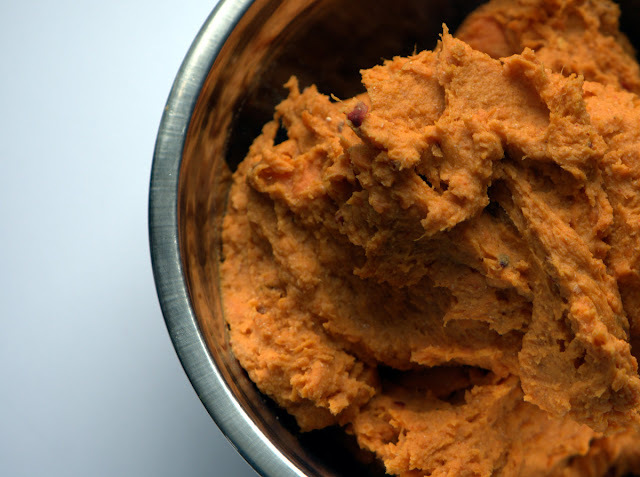 Microwave the sweet potato whole for 8-10 mins until tender. You can roast them in the oven till golden and soft if you like but obviously that takes a lot longer. Leave to cool a little, then peel. Put the sweet potato, cumin, coriander, chilli, fennel, paprika, garlic, lemon juice and flour into a large bowl. Season, then mash everything together until smooth. 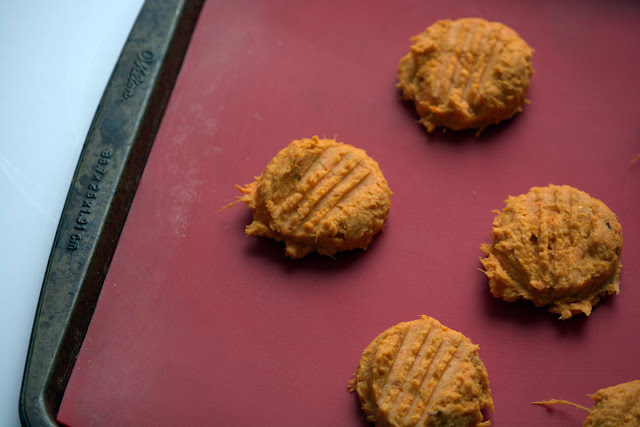 Place the falafel on an oiled or silicone lined baking sheet, bake for around 10- 15 mins until the bases are golden brown, then flip over and bake for 10-15 mins more until brown all over. 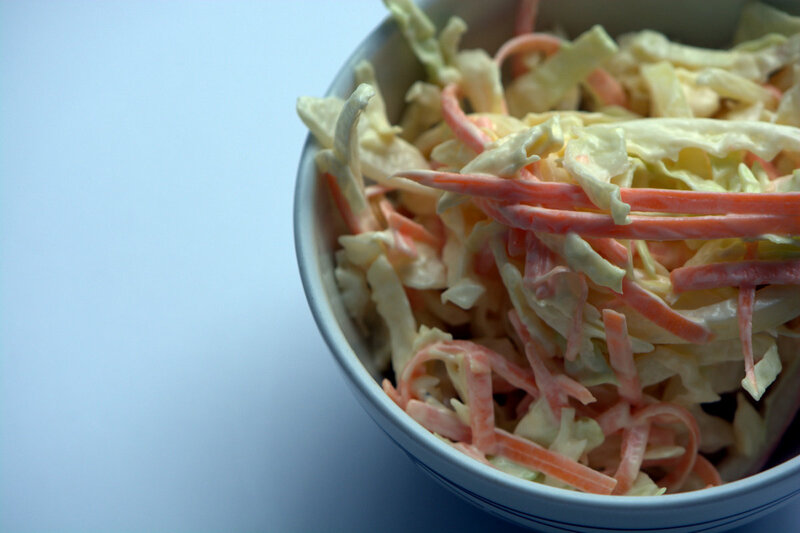 To make the Café Coleslaw simply mix the veggies together in a large bowl and add enough mayo to coast everything thickly. Don't be stingy with the mayo! To eat is to live, to cook is to enjoy!